Yup. Pretty much exactly my view as well. The descriptions would be really simple for Google to implement. The options would be a brilliant addition but obviously only available on new versions of Android. Would still be a great thing to have though. It’s not sufficient to just add information regarding what the permission is being used for. 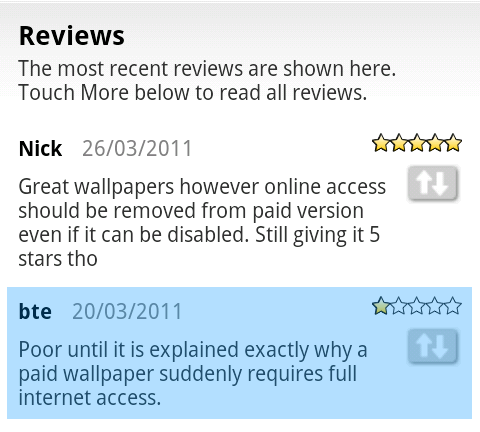 How can a user know that that is indeed what the app is not lying about it? 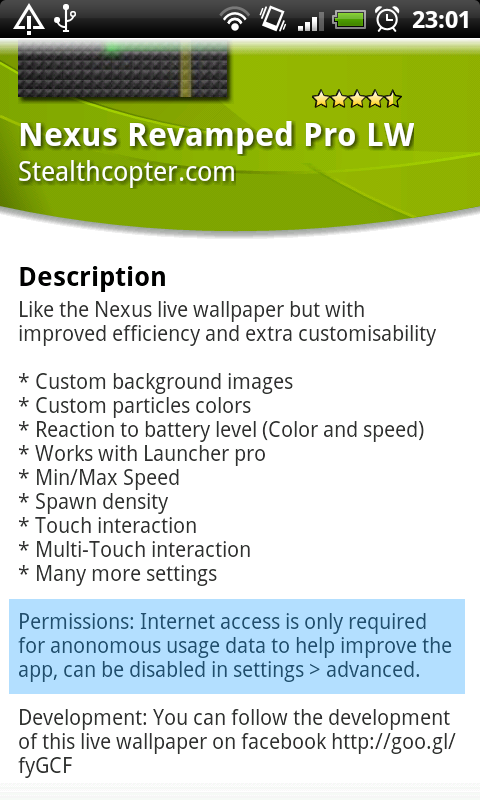 Granular line item permissions need to be provided so users can disallow certain permissions. The app code then has to gracefully degrade if permissions are not provided. Some permissions can be mandatory – those without which an app can’t or won’t run. This gives the app developer the option to insist on certain permissions and the user the option to decide whether he will grant those permissions. Well spoofing the information will be the next step. But this requires a lot of work. And is not cure for all. For example I can’t make google applications return dummy information. So for now I want to see this in CM and probably have some discussion with the CM devs about how they see it before extending it. I wholeheartedly agree, this is something i’ve always thought made sense…. I’m planning to develop on android and since the first app I installed, it’s the kind of detail I though as not enough. Internet Permission can be anything. It can only be used to download the ads that you put on your app or do some very bad thing. Just like the permission to read or write on the SD card. Minor: Only read or write file created by the app itself. Ask for 1mg of space. Second example of minor: browse your gallery. Good post. I hope some people at Google saw it.